February is the Month of Love at Church of Spiritual Light. This month we will be focusing on returning to love in all that we do. Hopefully everything we have planned for the month will help you to bring more love into your life! Please feel free to print out and use these affirmations to help you attune yourself to love. (The easiest way to print them is to copy and paste them into a Word document.) You may cut them out individually and draw them randomly each day (there is one for each day of the month) or you can simply read them everyday as part of your personal care ritual. 1) I am one with Love. 2) I am created from love. 3) My being is infused with the loving energy of my creator. 4) I stand in the presence of the greatest love in the cosmos. 5) I embody unconditional love and extend this love to myself. 6) I am in love with myself. 7) I am the culmination of love and light. 8) I love myself, not in spite of my perceived weaknesses, but because of them. 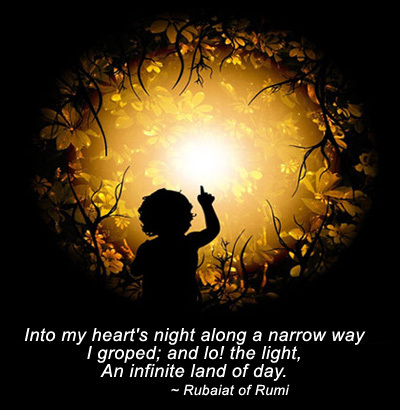 9) My love is a light unto the world. 10) I am a radiant being of light, shining love into the world. 11) I am passionate about being of service. 12) I balance the love of self with the love of all. 13) I am filled and overflowing with gratitude and love for this world. 14) I am worthy of the highest forms of love. 15) I am a loving steward of the earth. 16) I love the world and the world love me. 17) Love is a verb. 18) I ask what would love do? in all my relations. 19) I love all beings, both above and below. 20) My heart is open and receptive to love. 21) I love animals and honor the spiritual gifts they bring to me. 22) I love you so much, that I will set you free. 24) I send love to the earth. 25) My love is the greatest gift that I have to give to the world. 26) I am devoted to serving the Light. 27) I am returning to love. 28) I receive the love of all that is. I tap into the all seeing, all knowing wisdom of my Higher Self. I bring the sacred into all my works no matter what that may be. I perfect my claim on my ability to express myself with free will. Note: These are the affirmation of the Addiction Alchemy Medicine Wheel White Dove Clan. Read more about White Dove medicine. Concerned about the best way to get aid to Haiti? Donating to credible and viable charities with the best staff, the expertise and the resources to truly make a difference should be our focus. In the research that I have done one of the best non-profit first responder teams that fits this bill is www.Mercycorps.org. They have been in existence since 1979 and have garnered support from public entities such as Amazon.com, ITT Corporation, Best Buy, Western Union, Gap, Nike, among others. Besides the logistical provisions of water, food and sanitation, Mercycorps also has the programs and the staff to help restore families and children’s sense of well-being, Mercy Corps will provide post-trauma help using Comfort for Kids. This counseling methodology was first developed in New York by Mercy Corps and Bright Horizons, a global workplace childcare provider, to help children recover from the trauma of 9/11. Subsequently, Mercy Corps has used Comfort for Kids to help children recover from the China (2008) and Peru (2007) earthquakes and Hurricane Katrina (2005). (You can check their blog for their frequent posts for updates and photos). Mercy Corps’ team of emergency response experts is working to meet the immediate needs of survivors – water, food, shelter, hygiene – in the aftermath of the devastating 7.0-magnitude earthquake that rocked Haiti on January 12. At the same time, our team is laying the groundwork for longer-term recovery, drawing upon Mercy Corps’ three decades of experience helping disaster-struck communities transition from receiving aid to carrying out their own recovery. Haitian authorities estimate that up to 200,000 people died in the earthquake, and that three-quarters of the capital city, Port-au-Prince, will have to be rebuilt. The Mercy Corps team is coordinating with the UN and other aid groups on the ground to ensure the most efficient response. Mercy Corps has deployed an A-team of humanitarian first responders. These experts from around the world have collective experience that includes responses to the China earthquake (2008), Cyclone Nargis in Myanmar (2008), and Hurricane Katrina (2005). The Mercy Corps response is currently focused on immediate humanitarian needs: water and sanitation, trauma support and job creation. Mercy Corps is helping survivors access clean, safe water and sanitation services, working with our partners ITT Corporation and the Boston-based NGO Partners in Health, a leader in Haiti medical relief since its founding in 1987 by Dr. Paul Farmer. We are using multiple creative approaches, including de-salinization, water tanks, filtration units and alternative water sources, to get life-saving water to Haiti’s struggling survivors. To jumpstart the decimated economy and begin rebuilding efforts in earthquake-affected areas, Mercy Corps will initiate a cash-for-work program that pays earthquake survivors a daily wage to clear debris, restore buildings and repair basic infrastructure. Through the cash-for-work approach, survivors carry out their own recovery efforts. Employing survivors gives them the dignity of earning an income they can then spend on the supplies they need for their families. Their purchases in turn help restart local commerce. When the earthquake struck, all schools in Port-au-Prince collapsed. Haitian children who survived the earthquake experienced trauma that could negatively affect them for life. To help restore children’s sense of well-being, Mercy Corps will provide post-trauma help using Comfort for Kids. This counseling methodology was first developed in New York by Mercy Corps and Bright Horizons, a global workplace childcare provider, to help children recover from the trauma of 9/11. Subsequently, Mercy Corps has used Comfort for Kids to help children recover from the China (2008) and Peru (2007) earthquakes and Hurricane Katrina (2005). The earthquake in Haiti left 3 million people in need of aid, exacerbating the dire humanitarian situation in the poorest country in the Western Hemisphere. The Caribbean nation suffers extreme hunger and political instability, and this disaster only increases the needs of thousands of impoverished Haitian families. Mercy Corps has a long track record of helping people living in the world’s toughest conditions to recover and rebuild after natural disasters and conflict. The agency has special expertise in disaster response that establishes a foundation for, and leads directly to, self-sufficiency. Mercy Corps is accepting donations toward our earthquake response. Public support thus far has been strong, and corporations such as Amazon.com, ITT Corporation, Best Buy, Western Union, Gap, Nike, and Trilogy/Voilà have generously contributed to our efforts. 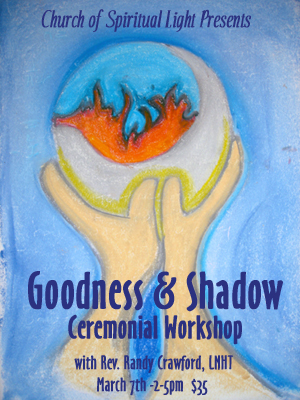 This workshop will provide an experience of self honesty and good will through ceremony, visualization, group processes and creative expression through drumming, movement and drawing. Your presence will bring specific energies that may join together with us in the Sacred Space invoked by ceremony. I will invite you to share your intention and motivation to be united in Source. Cognitive Behavioral methods lend themselves well to the exploration of both conscious thought and automatic or unconscious thought. Each of us has a story of limitation, calling, emergence, becoming and return. All have basic needs for safety, security, belonging and self esteem. All have been conditioned by parents, schools, culture, and life experience. The ability to dialogue with our subpersonalities, who animate our deeply held core beliefs and influence our personalities, is essential to strengthen and activate our will and bring forth the power of Spirit. You will receive these methods for dialoguing with your conscious and unconscious self deepened by ceremony. 1. The call to Spirit and creation of the container or sacred working space. 2. Bringing to the container of each persons intention and awareness. 3. A teaching about transpersonal methods and the internal dialogue process. 4. The use of images, movement, music and guiding questions. 5. Sharing with the community through creative expression. 6. Expressions of gratitude through celebration of our emergence. 7. The closing of Sacred Space and thanks to all aspects of self, community and Spirit that have joined in the rite of emergence. Please bring water, a small blanket, a cushion and a drum or rhythm instrument. Paper and caulk will be provided for drawing. If you want to achieve a goal you’ve set, the most critical part of bringing it into being is to DECIDE to manifest it. It doesn’t matter if you feel it is outside of your control to do so. It doesn’t matter if you can’t yet see how it will even be possible. Most of those resources will come online AFTER you’ve made the decision, not before. If you don’t understand this simple step, then you may find yourself meeting some roadblocks. Step one is to decide. Not to mull it over, ponder or ask around and see whether or not you can do it. If you want to start your own business, then decide to make it so. If you want to be healthy and free of addictions, then make the decision to become clean. If you want to be married and have a family, then decide to attract a mate. If you want to change careers, then make the decision to find your calling. Don't worry about how it will happen. First decide. The mental act of deciding creates the shift in you that will put your desire into the field of all possibilities. The second step of creating an intention is perhaps the most difficult to grasp. After you decide you must surrender it. Your first thoughts might be of how in the world it will happen if you don't make it happen. This is not an entirely incorrect thought process. However, it is incomplete. When we stay very busy making things happen, it can be difficult to remain open and aware of our own inner guidance and things that the universe seems to be putting in front of us. It is important to surrender the how and when, so that we can fine tune the art of doing without doing and understand when to act and when to be still. It is then that you can understand the process of "funding" your will. 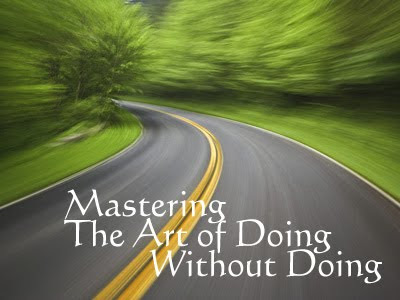 A good analogy to the process of intention is the act of fishing. First you decide to go fishing. You then assemble all the equipment you will need in preparation. Then you go to your favorite fishing spot, bait your hook, drop your line and wait. You are not the one that dives down into the water and places the mouth of that fish on your hook. Your job as a fisherman is to attract that fish. If you have made good preparations, used wisdom and insight and remained open to learning about the art of fishing, then the chances of the fish biting are much higher for you. Yet, if you had never decided to fish that day, there is zero chance that you would be catching a fish. Baking cookies is another good anology. You do not sit inside the oven as the cookies are baking. You trust that the oven will provide the proper amount of heat to turn those cookies golden brown (and hopefully a little gooey inside!). This all began with your decision. A key factor in being able to manifest our desires is to make sure they are in alignment with our highest and finest good. That does not mean that they have to be completely altruistic or "unselfish". It means that the more we are in tune with our own unique purpose, the more we can manifest and be in alignment with what we need in order to accomplish our purpose. The clearer we are on this, the wiser we will be with what we intend and the happier we will be with what we manifest. Use the form below to state your Intention and send it out into the universe. You might want to take some time to reflect on this. Actually typing it here and sending it out into cyberspace is a very powerful ceremony. The act of writing something further solidifies it and signifies the DECISION. The act of "sending" it releases it into the unknown and signifies the SURRENDER. Give it a try. You will soon be amazed how your heart's desires will begin to find their way into your life once you set your intention. Don't miss the signs. You will see that your desires and dreams can come true! 9) MAKE SURE THERE IS AN ELEMENT OF PASSION AND FUN INVOLVED. 10) REMEMBER THAT YOU ARE THE INTENTION OF SOMETHING FAR GREATER THAN YOU MIGHT KNOW. 1) Would you do this for free? 2) Would you spend your money on it? 3) Would you do this in your free time? 4) Would you rather do this, than eat when you’re hungry? 5) Would you charge money for this? IF SO YOU ARE NOW READY TO BE IN FLOW, THE CIRCLE IS UNBROKEN. The beauty of an evening hearing the crystal bowls is that for once your mind is quieted. Anyone who has had trouble with that in sitting meditation will surely appreciate how effortlessly the crystal bowls sweep you into another state. That challenging, busy chattering mind of ours that is the "keeper of the lists" is lulled to sleep. From this deep state of relaxation, your physical body can heal itself. Your mental body can take a break from the stresses of the world, and you can nourish your spiritual self. Daryl play the crystal bowls intuitively. It has been a growing "knowing" over the past 3 years for her. 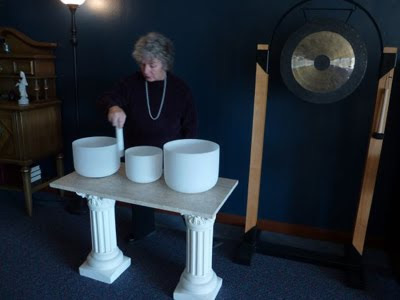 7 beautiful opaque pure crystal bowls are each tuned to a different note on the musical scale which resonates with a certain chakra (energy center) in the body. As an example, the root chakra at the base of the spine is the key of C and the color is red. She believes the her Root Bowl connects with Mother Earth and helps us to work on issues that are involving the material world. All her efforts playing this music are to honor Mother Earth where the crystals came from. "This morning I was watching the concentric circles that appeared on the surface of my pool when the drops of water fell from the screens at the top of the lanai. One circle would radiate through the whole pool and sometimes ripple back upon itself. Then another would drop beside it with overlapping circles. This is a visual of how the crystal bowls sound when I play them. I am grateful to be able to share this wonderous experience with all of you." Click hear to read the Naples Daily News article about Daryl Salerno.